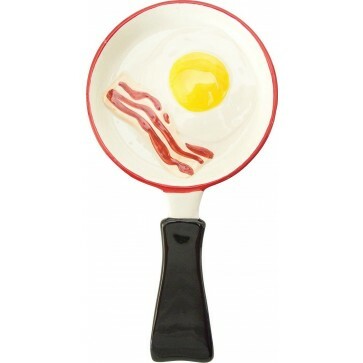 Fans of all day breakfast will surely fancy this tasteful Bacon & Eggs in a Skillet Spoon Rest. A fun and functional way to lighten your kitchen experience. Crafted from hand painted earthenware. Dishwasher safe. 9.75 x 5 inches. 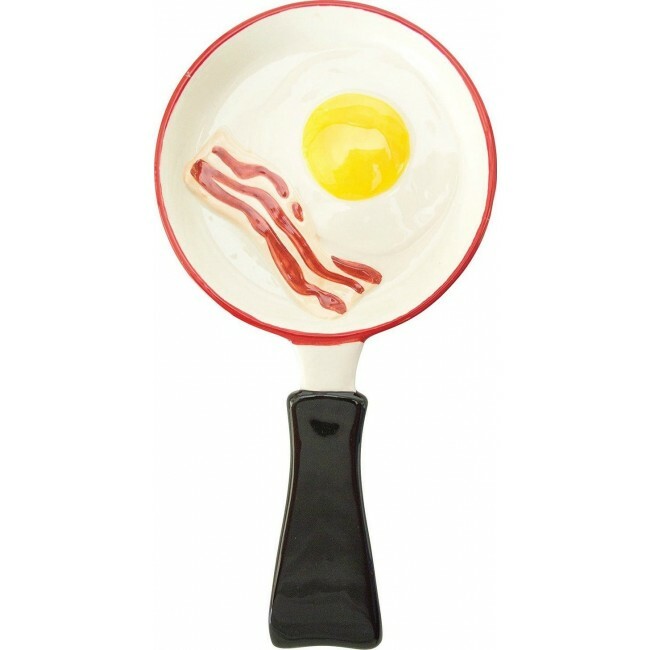 Fans of all day breakfast will surely fancy this tasteful Bacon & Eggs in a Skillet Spoon Rest. A fun and functional way to lighten your kitchen experience. Strikingly colorful Spoon Rest is long enough to hold your spoon or ladle and keep drippings off your counter or stovetop. Crafted from hand painted earthenware. Dishwasher safe. 9.75 x 5 inches.